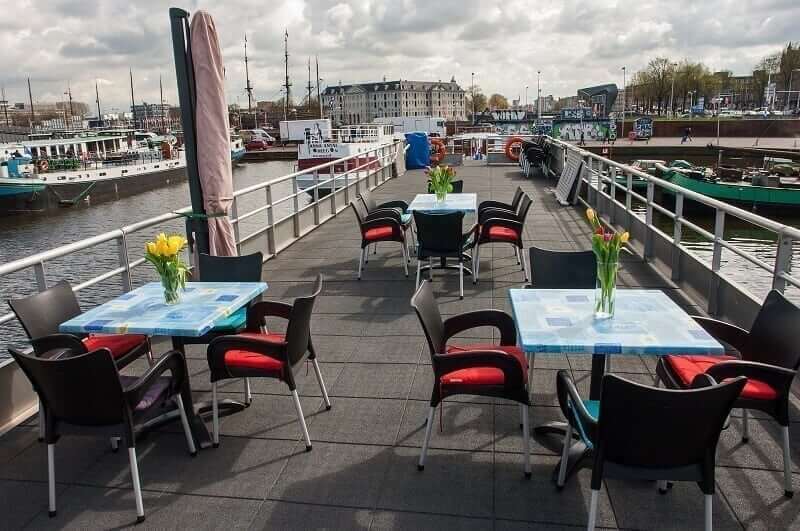 The Zwaantje (little Swan) is a new built passenger barge. 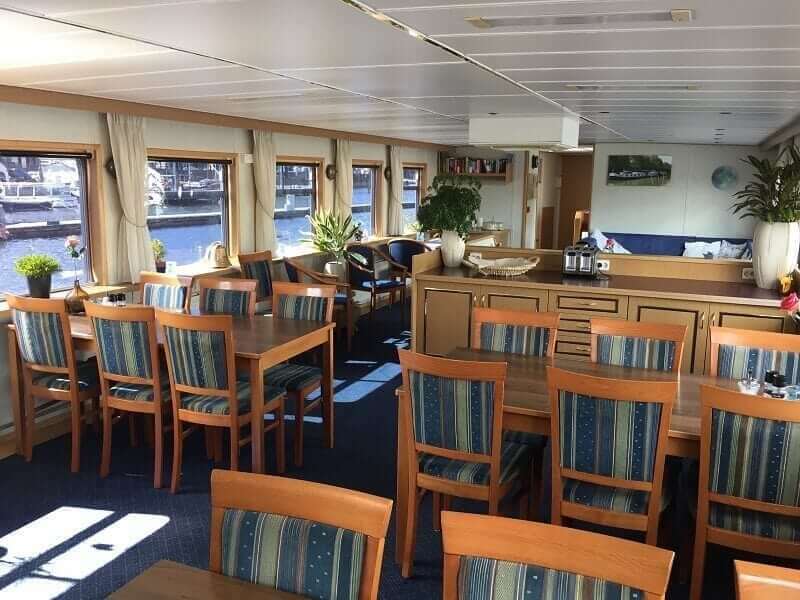 Since September 2014, the „Zwaantje“ has new owners and operators: Martijn van Tatenhove and Marjorie Kersten, who have experience as operators of a passenger barge for many years. 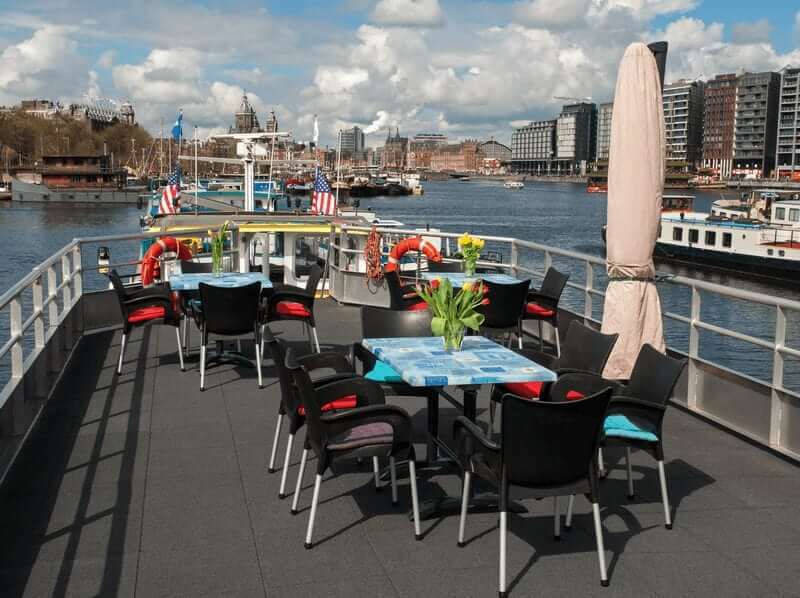 Martijn is your captain on board; he grew up in a family in the hotel and restaurant business and is also a licensed chef. Marjorie graduated in Tourism at the Breda High School and has been working in public relations. 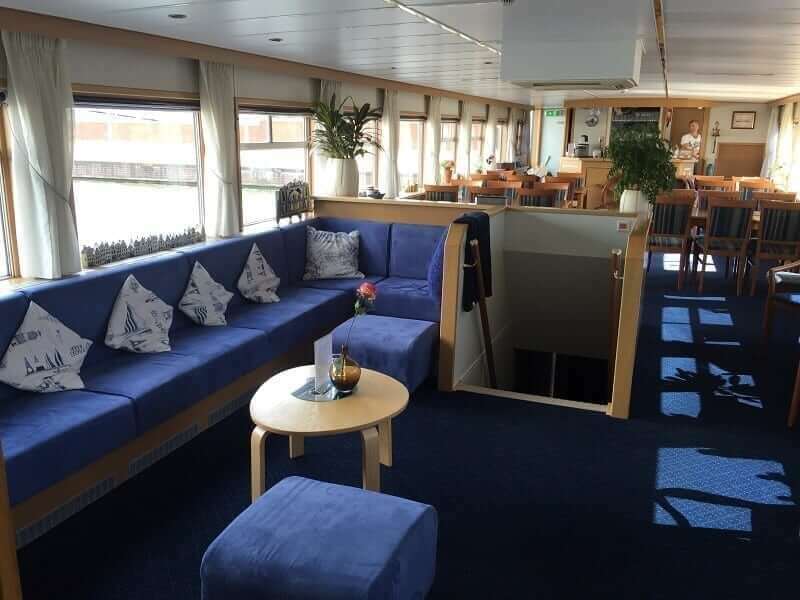 The sympathetic and very motivated couple have restyled the interior of the “Zwaantje” in winter 2014-2015 and have created a warm and cozy atmosphere. 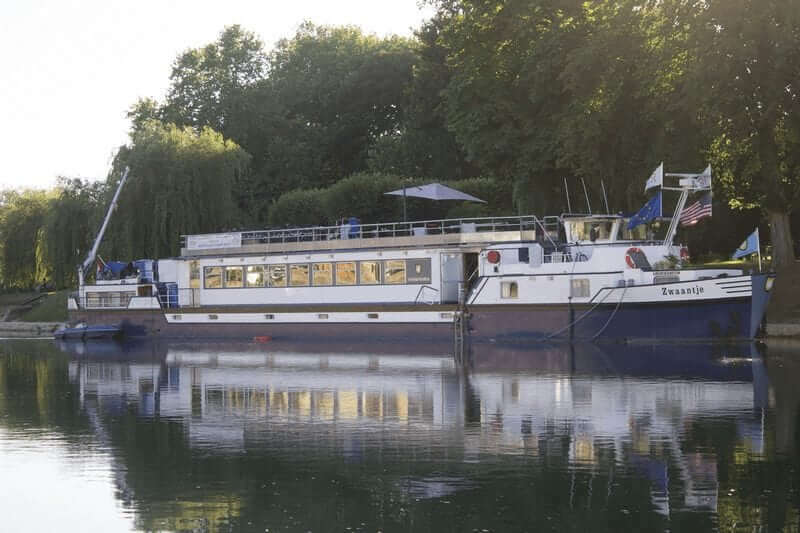 The Zwaantje sails under Dutch flag and management and is a very popular small river barge on several tours in The Netherlands, Belgium and France. 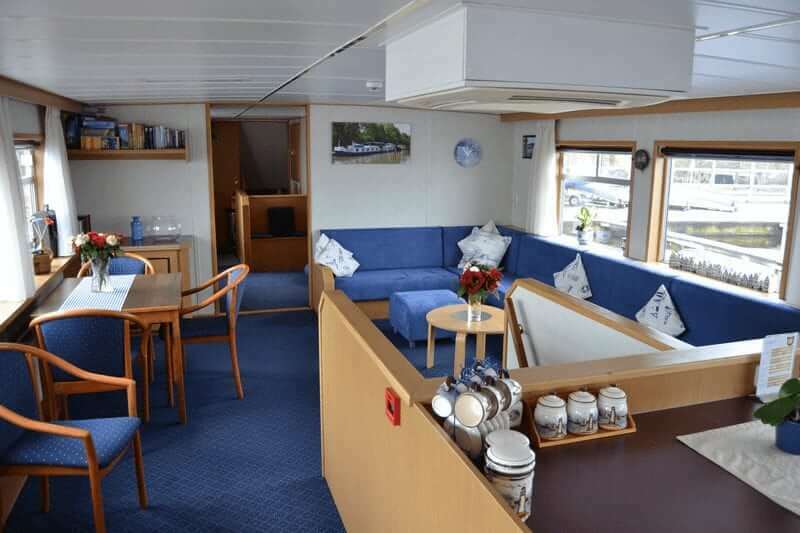 On the lower deck, the Zwaantje has twelve comfortable guest cabins. 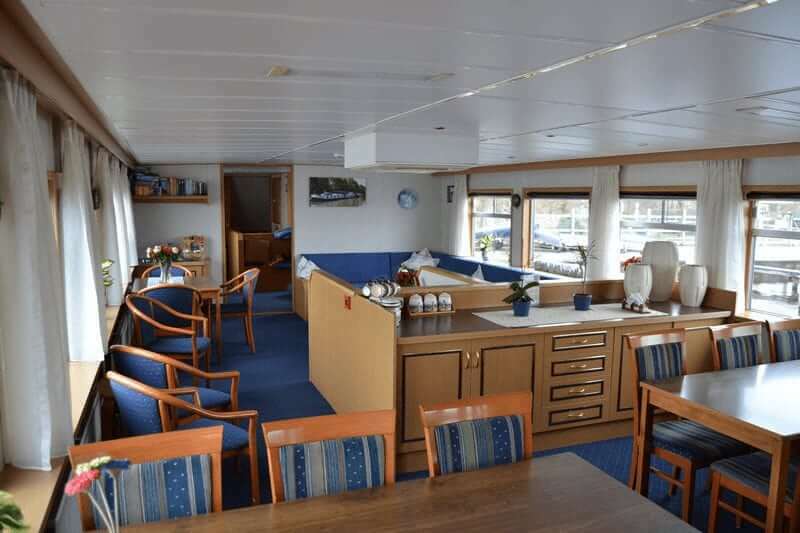 Ten twins (7 m² – 75 sq.ft.) 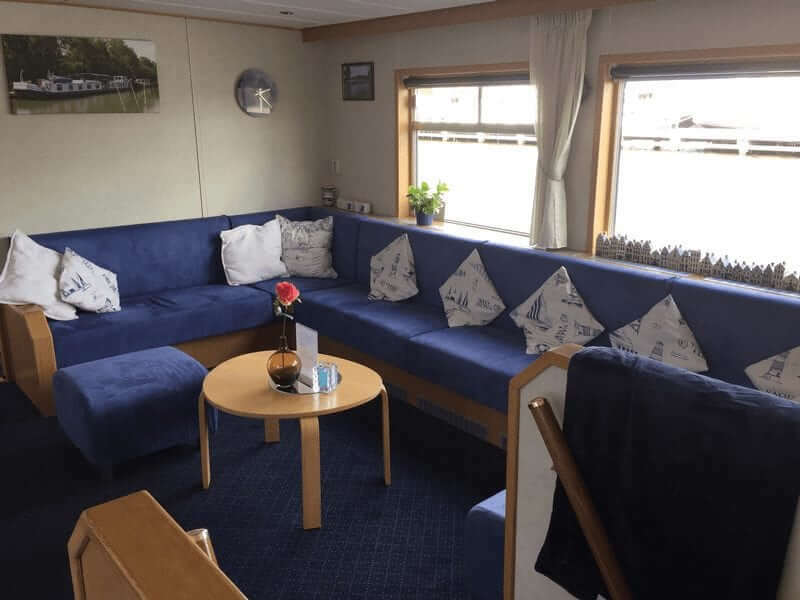 with two separate single beds and two doubles (6 m² – 65 sq.ft.) with one double bed. 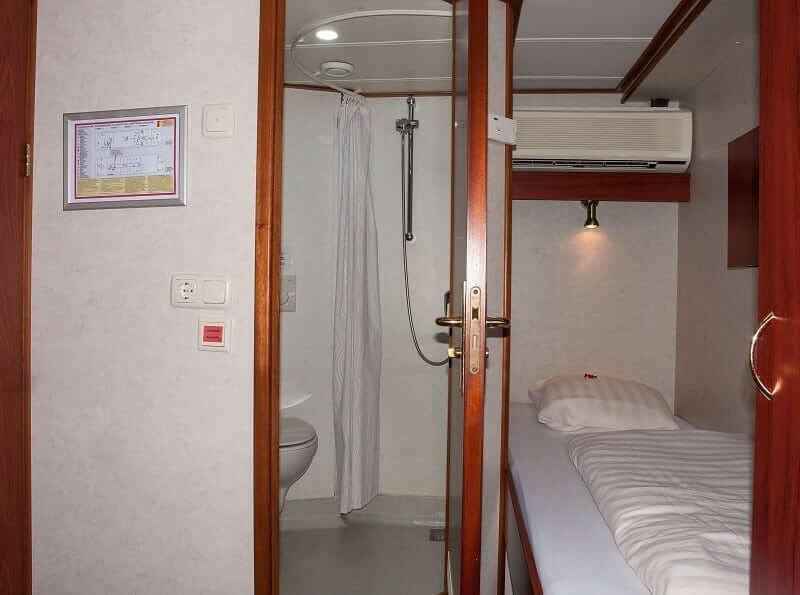 Each cabin has a private shower, toilet and basin. 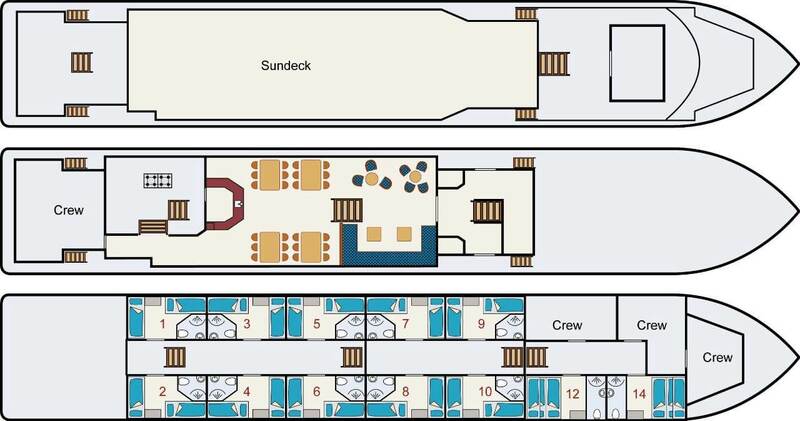 All cabins have ventilation, central heating, air-conditioning and a window; the windows in the doubles can be opened, the windows in the twins are fixed for safety reasons. 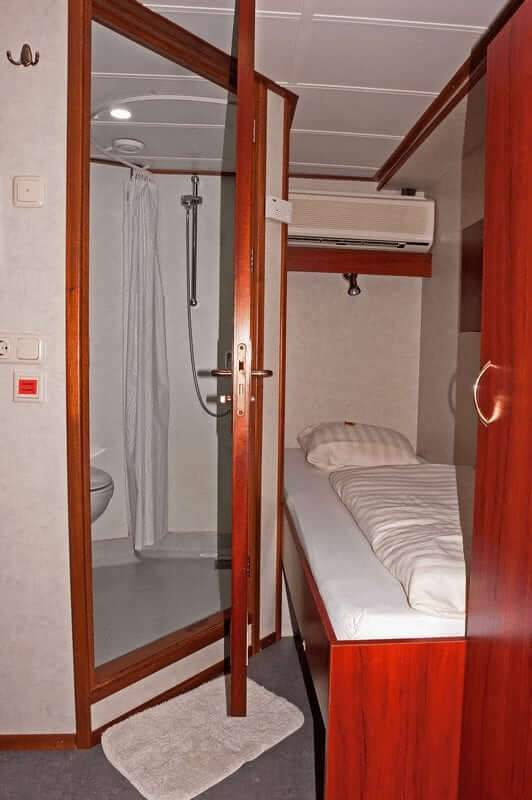 Furthermore, in each cabin you will find a mini safe and hair dryer.